CONEY ISLAND – The Polar Bear Plunge has come and gone and now so have the $60,000 in donations. The Coney Island Polar Bear Plunge announced that $60,000 raised by those participating in the icy plunge on New Year’s day, will be going to nine community organizations: The NY Aquarium, Alliance for Coney Island, Coney Island USA, Coney Island History Project, Coney Island Brighton Beach Open Water Swimmers, the NY State Marine Education Association, NYC Parks Foundation, Parachute Literary Arts, and the Coney Island YMCA. The recent Polar Bear Plunge brought thousands of people out in the cold running in the water including Borough President Eric Adams, who was there to celebrate the first New Year’s day in decades that both he and his mother were diabetes-free. The nine organizations each received a different amount of donation. 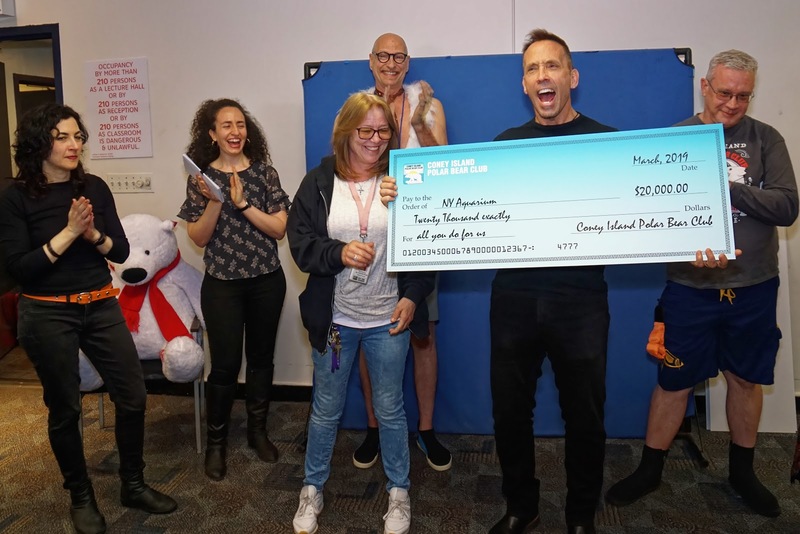 The largest amount, $24,000, went to the Alliance for Coney Island to support its free summer events such as the weekly Friday Night Fireworks, job recruitment events, and advocacy for improvements to the Coney Island community. The second largest donation of $20,000 went to the NY Aquarium to help support its New York Seascape program for studying whale and shark populations, restoring healthy populations of alewife herring and American eels to local waterways, and building a local marine conservation constituency in Coney Island. 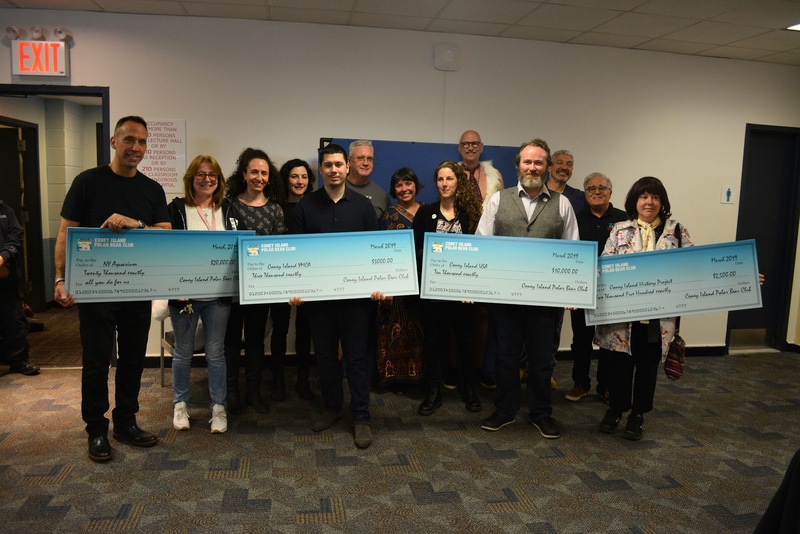 Coney Island USA, Coney Island History Project, Coney Island Brighton Beach Open Water Swimmers, the NY State Marine Education Association, NYC Parks Foundation, and Parachute Literary Arts each received donations ranging from $500 to $10,000. The Coney Island YMCA was awarded $3,000 for its summer camp scholarship program.